Pitchmark – Your Turf. Our Passion. Pitchmark announces at BTME the exciting launch of Turfix, a newly formed subsidiary of The Pitchmark Group. 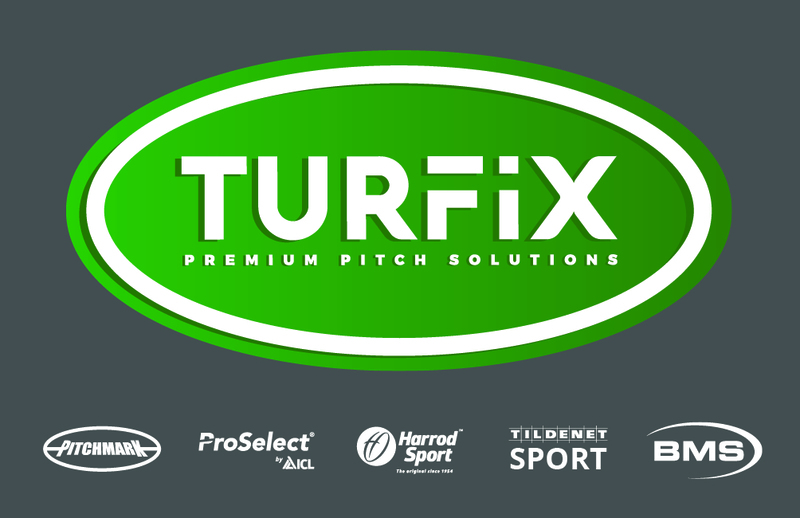 Turfix will act as Pitchmark’s sole UK distribution arm, offering premium pitch solutions to the professional sports turf sector. This will include bespoke advice, education and the supply of a wide range of products from manufacturers including Pitchmark, ICL, Harrod Sport, Tildenet and BMS. What makes Turfix different, Mark says, is the quality of service, with the facility to spend more time with groundsmen and implement specifically tailored solutions for all their requirements. Every turf support manager has been a groundsman or greenkeeper in their career, adding a unique level of understanding. Turfix customers nationwide will also have access to a unique GPS pitch-marking service using Pitchmark’s LineMaster system. The introduction of Turfix is another landmark in The Pitchmark Group’s development that has led to rapid expansion and the appointment of three new directors. The company supplied all stadia at FIFA World Cup Brazil 2014 and Euro 2016 France, and Pitchmark paint was also used to mark the pitch at the Principality Stadium for the Champions League Final 2017. New and Exclusive to D.T. Brown – Poulton’s Red, Their Sweetest Rhubarb Ever!